[VIDEO] After a five-month Reserve Police Officer Academy, 11 recruits were sworn in as officers Saturday. 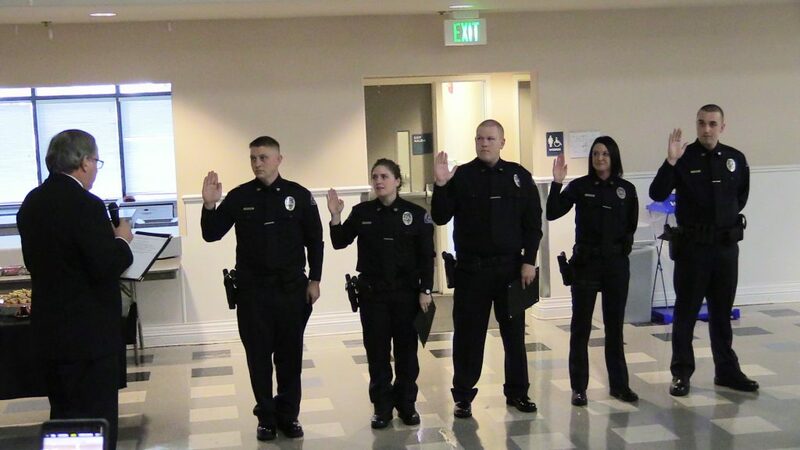 Five were sworn in as reserve officers for the Shelton Police Department. One of those reserve officers was also sworn in as a full time officer along with Chris Pickens who started at SPD earlier in the week. Among the other recruits attending the Reserve Police Officer Academy were four who were sworn in as reserve deputies for the Thurston County Sheriff’s Office and two who were sworn in as reserve officers for the Yelm Police Department.